This week on the podcast it’s all about TIME TRAVEL. First up, I talk briefly and give a spoiler free review of “Ghost in the Shell.” Then I cover the other movies and TV I’ve been watching lately before I get into the main topic. The concept of time travel is an age old tradition in Sci-Fi in various forms of media. I cover some of the early entries, talk about the concept of travelling in time and what type of impact that might have to your own future. I cover several movies in this are as well as TV shows and a little on books too. It’s a very cool and fun topic to discuss and certainly one I enjoy a great deal. I hope you enjoy the show. No podcast next week as I will be at the big “Star Wars Celebration Con” in Orlando Florida. You can follow the fun there at our Facebook Group HERE or follow me on Instagram HERE or even Twitter too. In two weeks I’ll return with a vidcast talking all about the con. Until then take care and enjoy the next couple of weeks. Looking forward to listening to this podcast. 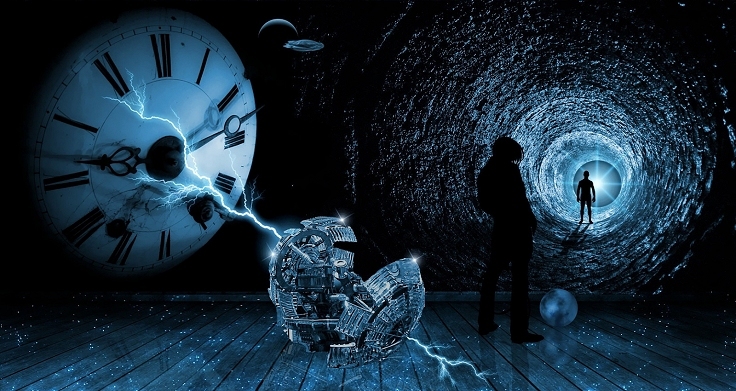 Surely, as sci-fi fans, we all love a lot of time-travel? I particularly admired Source Code, 12 Monkeys (though a bit bleak), and Deja Vu. For some reason, the film Looper didn’t really enthrall me (though, off-topic, I thought Bruce Willis in Surrogates was great). Some cool Star Trek episodes ventured into this area. Voyager’s `Blink of an Eye’ was great, and Star Trek TNG’s Time’s Arrow was good fun. The plot of Time’s Arrow wasn’t that outstanding, but the humour – especially with Samuel Clemens – made it a classic. And let’s not forget Past Prologue from DS9. Slightly departing from sci-fi, I admit an affection for the movies Peggy Sue Got Married and Groundhog Day. Anyhow, good luck with your future podcasts. Live long and prosper!